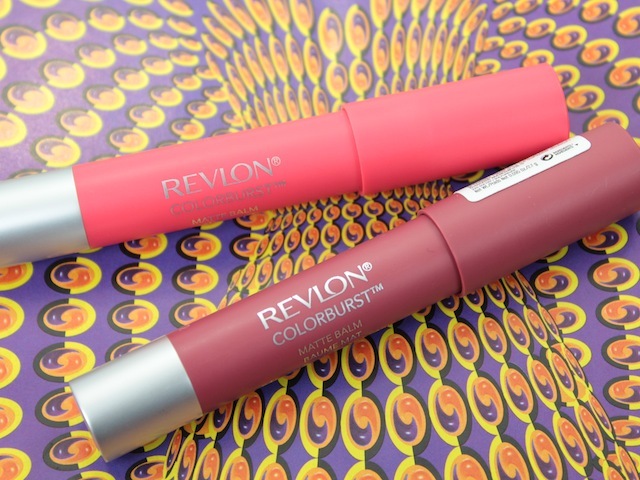 Revlon's lip crayon collection is expanding. It started with the Kissable Balm Stains, but now they're adding two new finishes: lacquer (super glossy) & matte. During a spur of the moment jaunt across the border, I chanced upon them at a Rite Aid on the way home. I was really more interested in the matte shades, but there wasn't a lot to choose from (stock was low, only 4 out of 10 shades available). I ended up with two matte shades: Unapologetic (a bright blue-based pink) and Sultry (a deep rose). I've only had a few days to play with them, but I'm liking them so far. I do prefer the shade Sultry. It's a great fall shade. Unapologetic is a pretty colour, but I doubt I'll use it that often. The colour feels a bit garish against my skin tone (it looks much brighter in person than in the photo below). They have the same minty scent / flavour as the original. I personally don't mind it, but it won't be for everyone. I don't find that the beeswax negatively effects application, though. They also twist up. No sharpening required is always a plus. I like the formulation. They leave a matte, almost velvet, finish to the lips. Surprisingly, I don't find them drying, either. In general, I prefer a shiny / dewy finish to my lipstick because matte finishes are usually a bit too dry for my liking. Not the case with these lip "balms." Now, while they're not drying, they're also not overly moisturizing. Don't let the name confuse you. 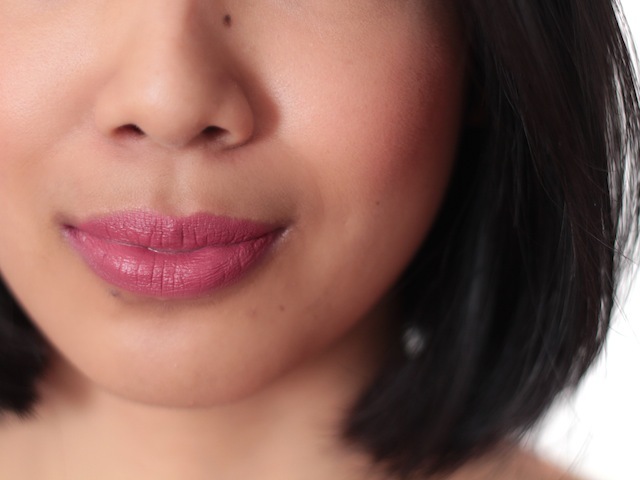 During application, I didn't feel any tugging / dragging on the lips or any patchiness. I did exfoliate my lips a bit beforehand, though. The wear time isn't great. After about three hours, a tall latte, and a mid-morning snack, I noticed significant fading & a need to reapply. Pretty average for a balm, although I guess based on the pigmentation and the matte claim, I was expecting a bit more wear. Overall, they're definitely worth a swatch. You're bound to find at least one of the 10 new shades to fall in love with ;). I have it on good authority (thanks to Esther, aka Rasilla) that these have finally made it to Canada. Ps, I usually try not to use a lip product that I want to blog about until I have photographed it, but I couldn't resist trying at least one of these out right away. It irks me to look at this photo of one pristine untouched lippy and it's messy smeared cousin haha. #Bbloggers, amiright? AH would definitely go for sultry. The finish looks a lot like the bite beauty high pigment lip pencils. Possible dupe. :O will have to hunt them down at shoppers/rexall. When will these come to Canada? I desperately want Sultry, what a great shade! They both look gorgeous on you, I definitely need to purchase Sultry! yay! Nice! I live on the other coast and we don't have LD but I heard these were in Pharmaprix too so hopefully we'll get them here very soon now! I thought that the wear time wasn't that great...but then again I usually retouch around that mark anyway, so I guess I shouldn't let that bother me. Oooh! 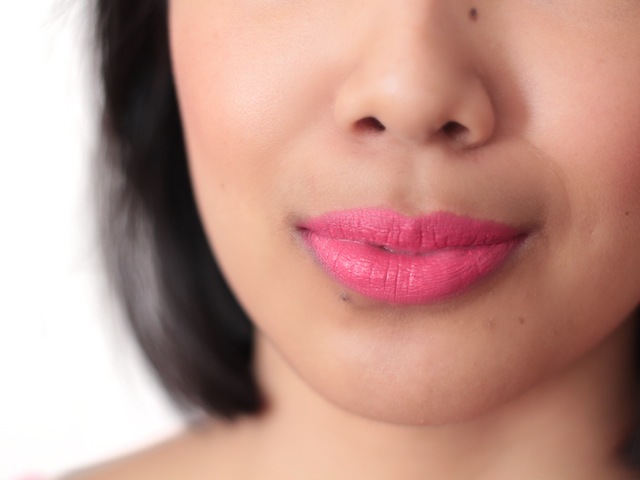 I love that brighter shade, but brights are definitely my thing! I could see how they wouldn't be for everyone. I'll have to search these out. 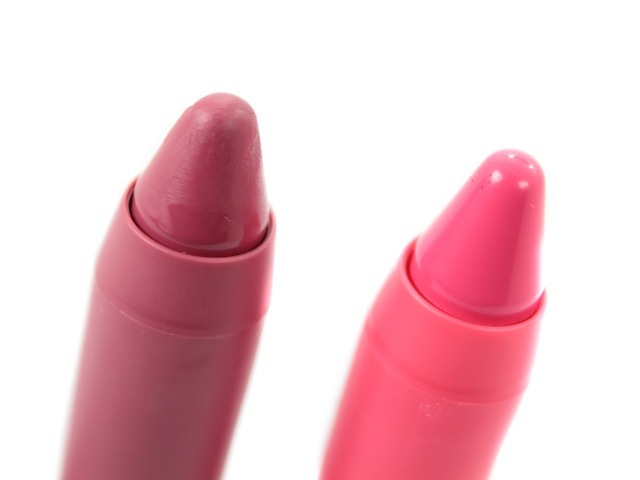 I love the balm stains, and I like matte lips, though the wear time sounds a bit disappointing! Thanks for the review! Yaa! I was disappointed about the wear time when I lumped it in with other matte lipsticks.. but for a balm, it was ok haha. I actually really like Unapologetic! 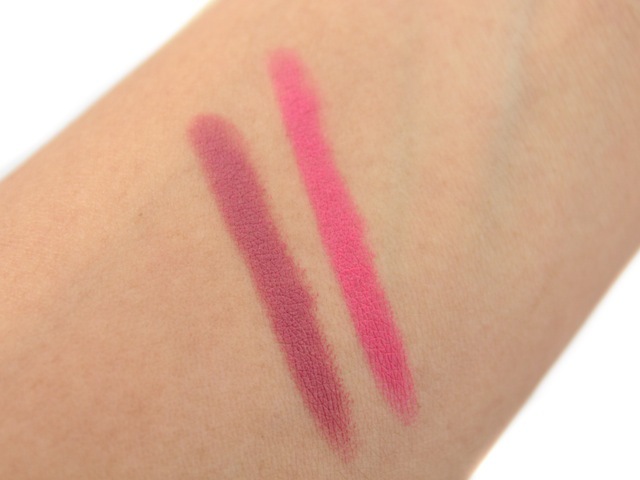 Both colours are lovely on you :) These haven't been released where I live yet but I really hope I'm not tempted by them when they invariably are ... the absolute last thing I need is another lip crayon LOL.